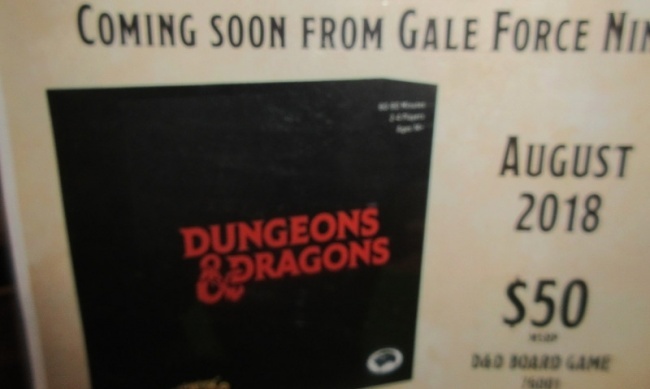 At Toy Fair, Gale Force Nine was previewing new products and expansions for its many licensed games and collectibles, including an upcoming Dungeons & Dragons board game. ICv2 spoke with GF9’s Sales Manager – North America Blair Mackey to learn more. “It's an untitled release at this point because it's tied to the modules coming in September,” Mackey said. “We know it's going to be a $50 price point. It's going to be a two to four‑player cooperative game.” More information about the release will be available this summer, as early as June. 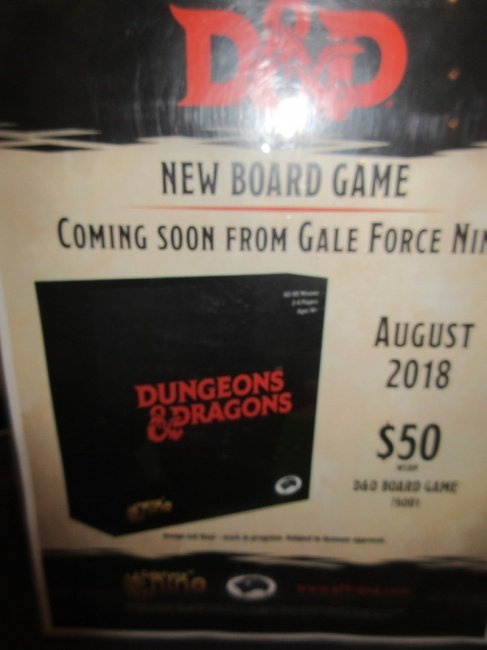 The game itself will actually be released in August, ahead of the new Dungeons & Dragons adventure campaign. GF9 will also have an expansion paint set with 36 colors and a larger model. “This model is a $70.00 prince point. 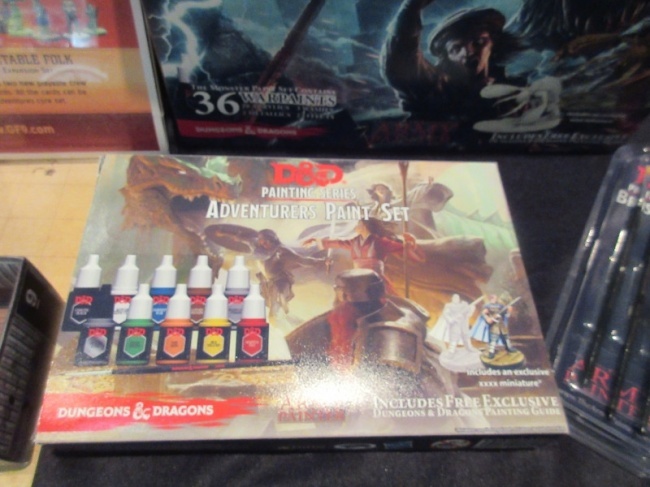 The paint set itself is going to retail for $79.00. You're basically getting that (mini) for free also,” Mackey said. Both are planned for June release. The paint is actually from longtime miniatures paint company The Army Painter. Each kit will contain a chart that directs customers to the correct Army Painter hue at local game stores to procure more of the color. “These colors all exist in the existing line. It's just another entry point into the Army Painter line.” GF9 will also be selling brush packs. The company is also adding to it’s popular D&D Spell Cards line. “We're going to have two monster decks. Basically, they're the cards that come in the Monster Manual. They're going to be broken out by level. 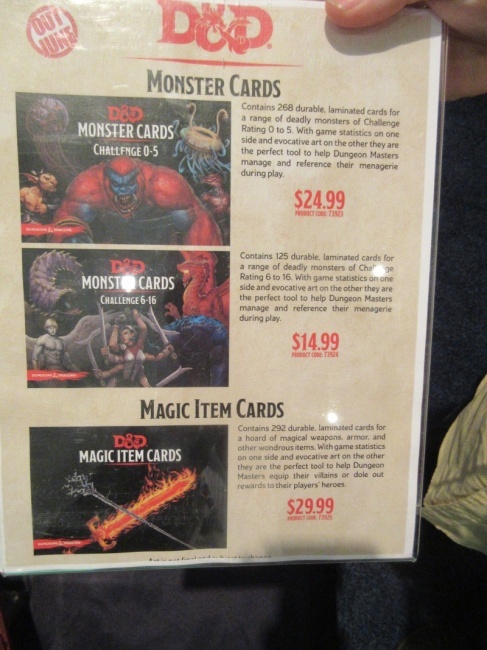 They'll be two packs.” The cards include statistics and information about the monster on one side, and artwork on the other. GF9 is also adding a Magic Item Cards deck. “That's everything that's in the Dungeon Master Guide, apart from a couple of items,” Mackey said. Release for the decks is planned for June. See multiple prototype images in the gallery below!